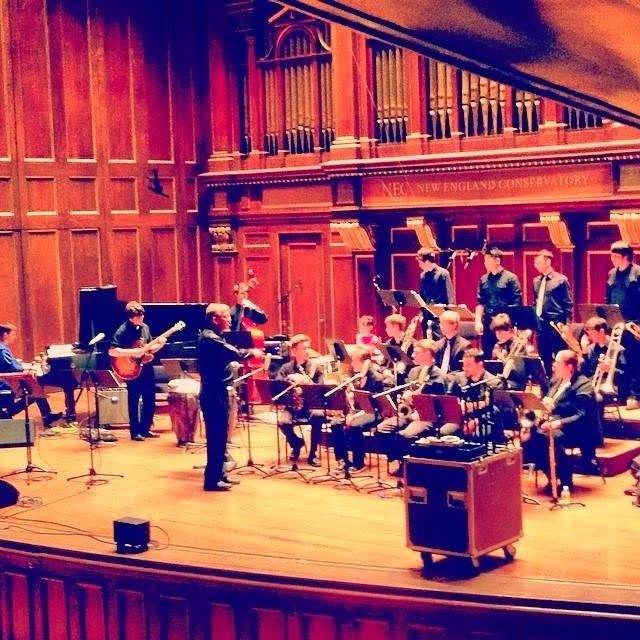 Last Tuesday, May 20th, I had the amazing opportunity to play in Jordan Hall with the NEC Youth Jazz Orchestra. The group performed a wide range of music by composers including Randy Weston, Dizzy Gillespie, Ken Schaphorst, Donny McCaslin, Quincy Jones, Tito Puente and more. The Orchestra featured students from area middle and high schools including Lexington, South Berwick, Newton, Canton, Ashland, Marshfield, Medfield, Hatchfille, Milton, Needham, Arlington and Southborough. 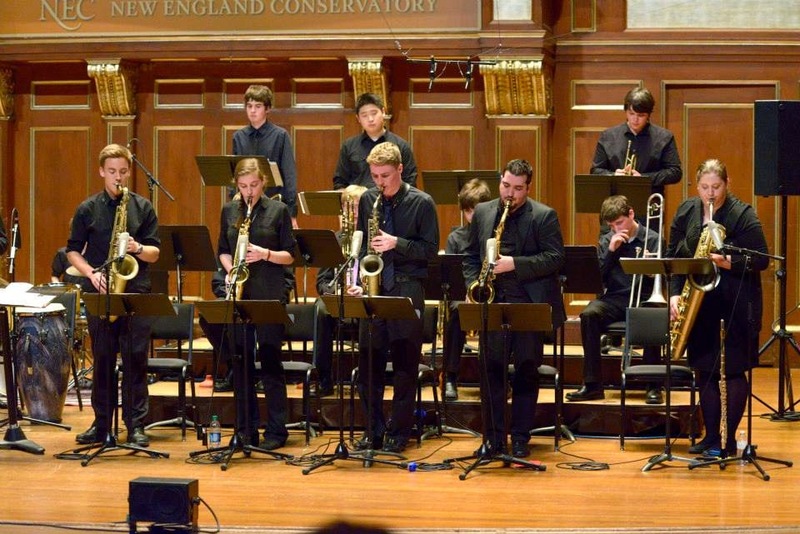 The group was lead by Ken Schaphorst, head of jazz studies at New England Conservatory. The concert started with "Blink" by the director, Ken Schaphorst. This piece was supposed to resemble the feeling of when you blink, and the shock of a total blackout. This was done with interspersed unison rests. Schaphorst utilized a variety of dynamics to provide shock and contrast, along with strong harmonic dissonances to give an edgy sound. The second song was an arrangement of the Tony Williams song "Sister Cheryl" by the Youth Jazz Orchestra. Tony Williams, the famous jazz drummer from Miles Davis's Second Great Quintet, was from Boston, so this song choice was a nice homage to him with a calming rhythmic pulse. The bass line is quite catchy, providing a nice foundation for the soaring horn melodies and strong harmonies. The next song was "Sweet Meat" by Randy Weston. This song was a slow swing tune, and really focused on inflections. This song was in the style of Count Basie, and really captured the laid back feel of his music, with strong swinging horn melodies and a grounded rhythm section. "Second Line Sally" by Donny McCaslin and arranged by Ken Schaphorst was a joy to play. It had a New Orleans meets rock vibe that made it very energetic. This song featured the lead tenor saxophonist, and even had a sort of tenor saxophone battle, with solos from the first and second tenor saxophone. The traditional song "Down by the Riverside" arranged by Oliver Nelson was my personal favorite. It alternates between different meters, and presents a fresh, jazzy, modern twist on a traditional song. This song is so outrageous, it makes me laugh every time I played it! The second act started with "Three and One" arranged and composed by the great Thad Jones. This song alternated between the focus of a small group sound versus a big band sound for enormous contrast. The sax soli showcased the technique and inflections of the saxophone section, and the shout chorus showcased the power of the entire orchestra. "Con Alma" was by Dizzy Gillespie and arranged by Ken Schaphorst. This arrangement gave a raggae feel to a jazz standard to provide an edge, and a pop to what would be expected. This song left a lot of room for solos, allowing the student musicians to express themselves in this edgy setting. "The Quintessence" was a lead alto saxophone feature, by the great Quincy Jones. It featured lush horn lines and a soaring lead saxophone part. The horn backgrounds provided such support to the song, and really highlighted the loving alto saxophone melody. The Youth Jazz Orchestra ended their program with "Oye Como Va" by Tito Puente. 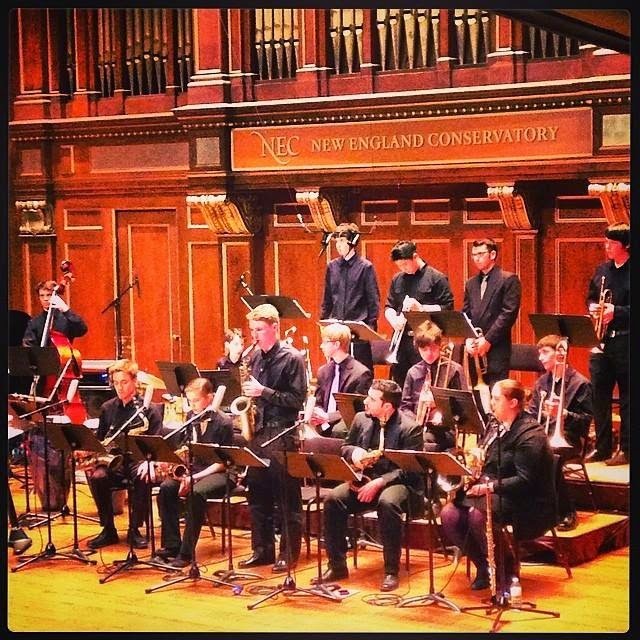 The orchestra had previously played this piece at the New England Conservatory "Feast of Music", which is an annual gala by the Conservatory to raise money for scholarships. The orchestra's faces were filled with joy, while they sang the lyrics to "Oye Como Va". I feel very lucky to have had the experience to play with such talented people in high school, and to learn from Ken Schaphorst at the New England Conservatory. By being surrounded by jazz at such a high caliber on my weekends, I have grown immensely, and I am sure these skills will help me in my pursuit of music. This group wasn't only educational though- it was also fun, and I met many people.